Put down the bleach and pick up the ACV. You’ve been standing in the cleaning supply aisle at the store for far too long. Tommy the bag boy is starting to suspect that you’re hatching a plan to steal all of the air fresheners. But instead, you’re facing a moral dilemma. “I want my home to be germ-free,” you think. “But I also don’t want my family inhaling chemicals." How do you decide which is the lesser evil? Luckily for eco-conscious shoppers, there is a simple answer: apple cider vinegar! 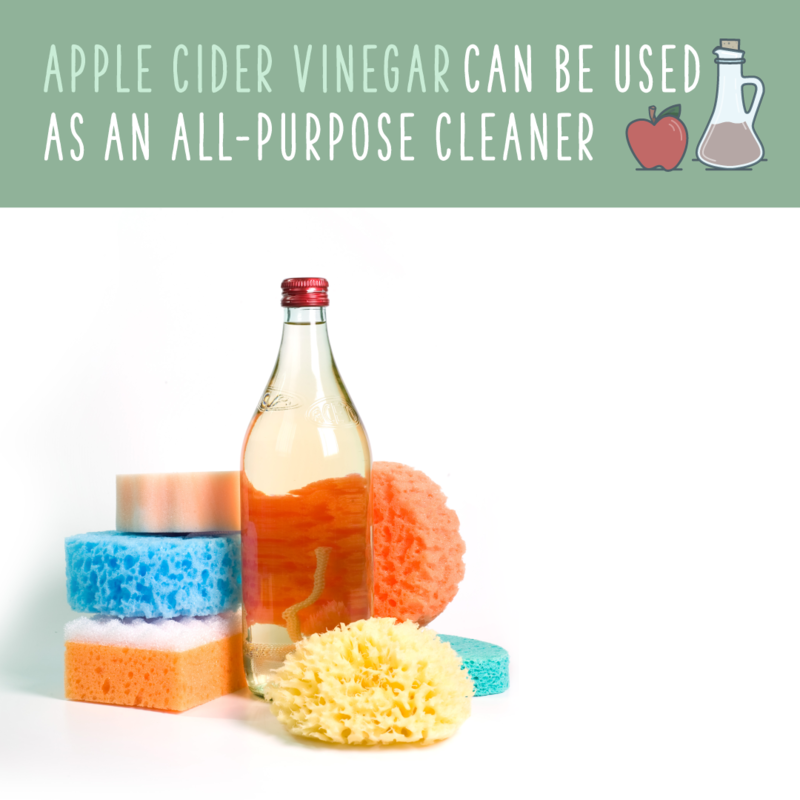 Also called ACV, the uses for apple cider vinegar range from health and beauty to all-purpose house cleaning concoctions. With such varied uses for apple cider vinegar, it’s important to get your facts straight before you go pouring it down your sink — or your throat! We already covered the beauty benefits of apple cider vinegar, and explained what natural components make the cloudy concoction such a versatile product. Today, we’re going to share the top 10 apple cider vinegar uses for your home. 1. Non-Toxic, All-Purpose Cleaner Clean all surfaces in your home with this simple apple cider vinegar solution that’ll kill germs without coating your countertops in toxins. Apple cider vinegar has antibacterial and odor-absorbing qualities, which makes it a double whammy when fighting stubborn germs or stinky spills. Simply mix one part apple cider vinegar with equal parts water, pour into a spray bottle, and start your guilt-free cleaning spree! You can also add lemon juice or essential oils for a fresh scent. If your dishwasher is particularly funky, you can also use ACV as a detergent substitute. 2. All-Natural Deodorizer After reading this article, there will be no excuse for offensive smells in your home. 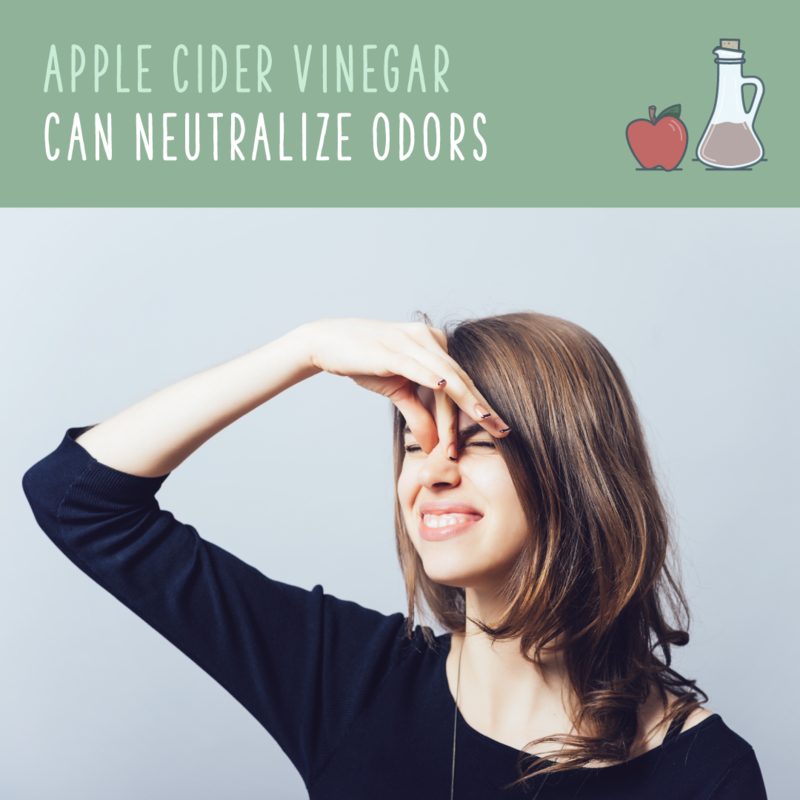 Be it bathroom stink bombs or the lingering stench of week-old chicken found in the fridge, apple cider vinegar will deodorize an entire room with the least amount of work possible. All you need to do is pour apple cider vinegar into a shallow bowl and place it where the smell is strongest. For bathroom-specific smells, pour ACV in the toilet and let it sit over night. The next morning, you’ll be showering in an apple orchard! 3. Chemical-Free Pest Control Ants are a tiny, infuriating insect that can be near impossible to get rid of. Miniscule cracks in windows or siding allow them to infiltrate your home and feast on any and all crumbs or water they can reach! The aerosol cans that are used for harsh bug sprays contribute to air pollution and greenhouse gases, and they emit volatile organic compounds which add to smog in the lower atmosphere. If that isn’t reason enough to ditch the heavy-duty spray, aerosols also leave chemical residue in the air and on surfaces of your home. 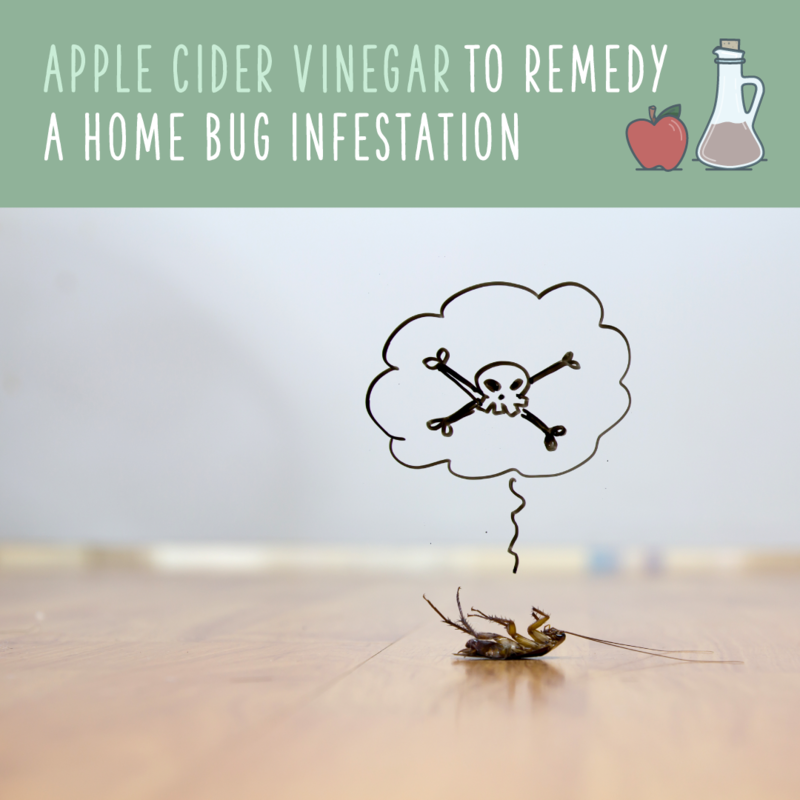 Instead of using chemical-laden pest control spray, pull out the apple cider vinegar if you have an ant infestation in your home. Combine one part water and one part apple cider vinegar, and spray the path where you notice the ants marching. Ants typically follow the same route because they follow the scent from ants that have been there before them. 4. Unclog And Deodorize Drains Don’t even try to tell me that your kitchen sink doesn’t have a mystery smell! 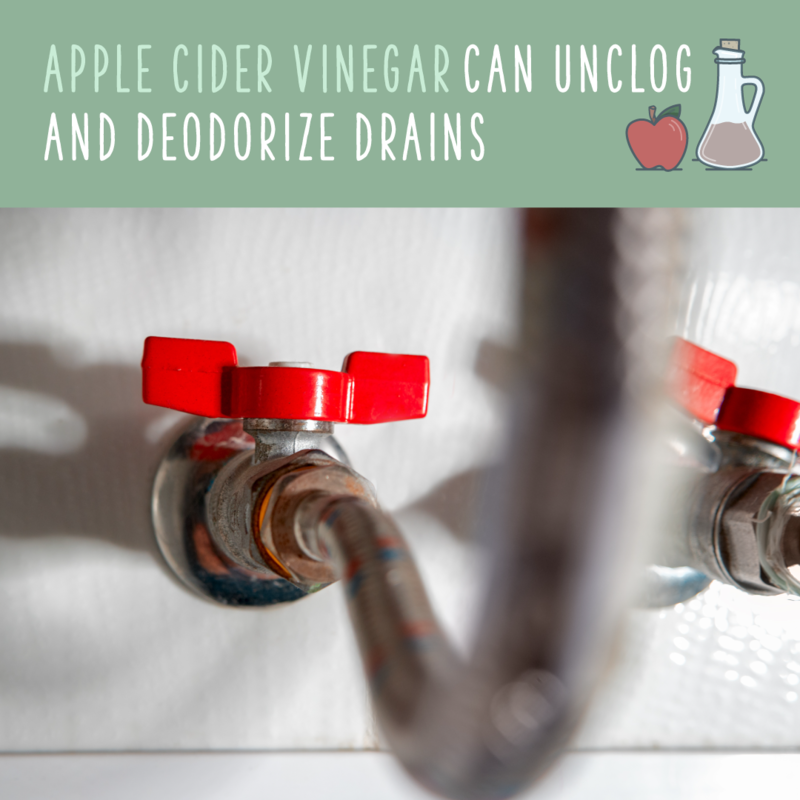 Whether it’s clogged with food, hair, or whatever else you pour down there, a little bit of apple cider vinegar and baking soda will clear it right up. Mix ½ cup baking soda with 1 cup of ACV and pour down the drain. The combination of vinegar and baking soda will create a bubbling effect — just like your elementary school volcano project! 5. Wash Store-Bought Produce We won’t bore you with the specifics of why you should wash all of your produce — yes, even if you’re removing the skin/rind — we’ll just say a few words on what is hiding in your store-bought produce. Bugs. Pesticides. Bacteria. Germs from lots of dirty hands. Now that you have that repulsive image in your mind, a three-second rinse under the tap doesn’t seem sufficient, does it? Nope. Grab the ACV to make sure your fruits and veggies are ultra clean. Mix about 1 tablespoon of apple cider vinegar with 1 cup of water in a bowl. Place your produce in the bowl and let it sit for about five minutes. Occasionally stir the items around to get things moving. This will help unlodge any stubborn bits of dirt, bug corpses, or chemical residue. Remove the produce from the bowl and rinse thoroughly in fresh water. That’s it! Make sure your fruits and veggies are completely dry before storing them in the fridge! 6. 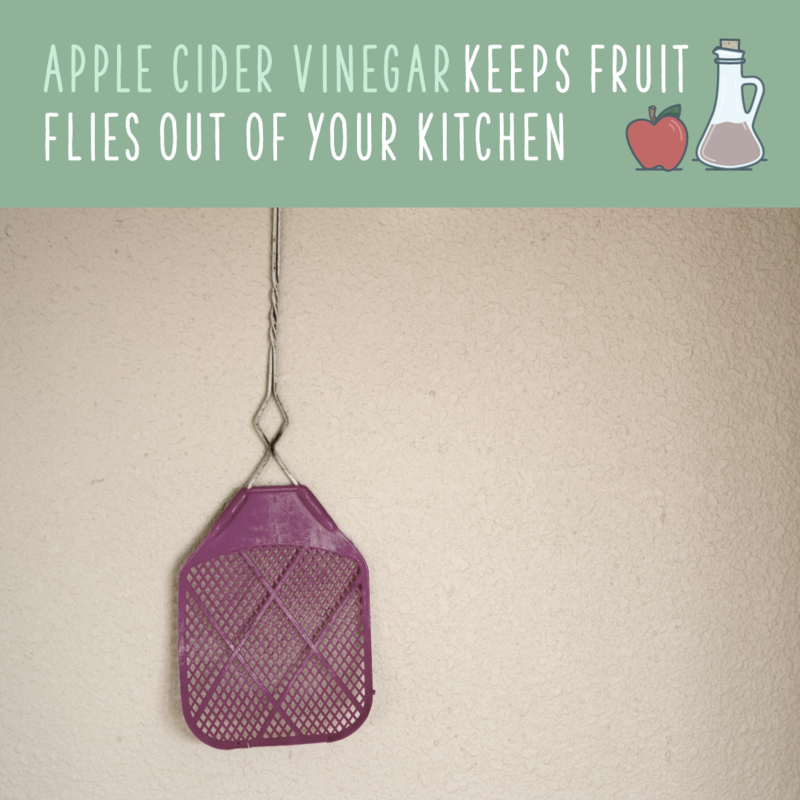 Expel Fruit Flies From The Kitchen Once your apple cider vinegar has absorbed the smell in your kitchen, add in 1 teaspoon of liquid dish soap and prepare to be amazed — and slightly grossed out. 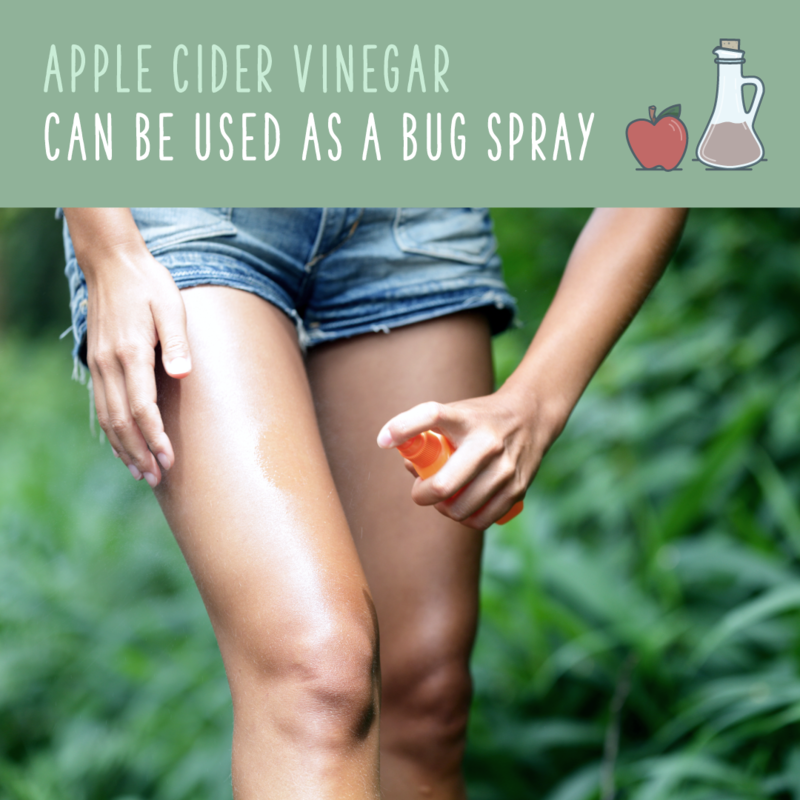 ACV will attract and trap flies, fruit flies, wasps, and gnats! The apple cider vinegar will smell like a treat for them, but the dish soap breaks the tension of the water, so they’ll drown once they land. RIP fruit flies. 7. Clean Wood And Tile Floors Mopping the floor is right up on the chore list with cleaning out the gutters and scrubbing the toilet bowl. It’s a tedious job, but there’s no need to add on the guilt of wasting water or dousing your house in chemicals. 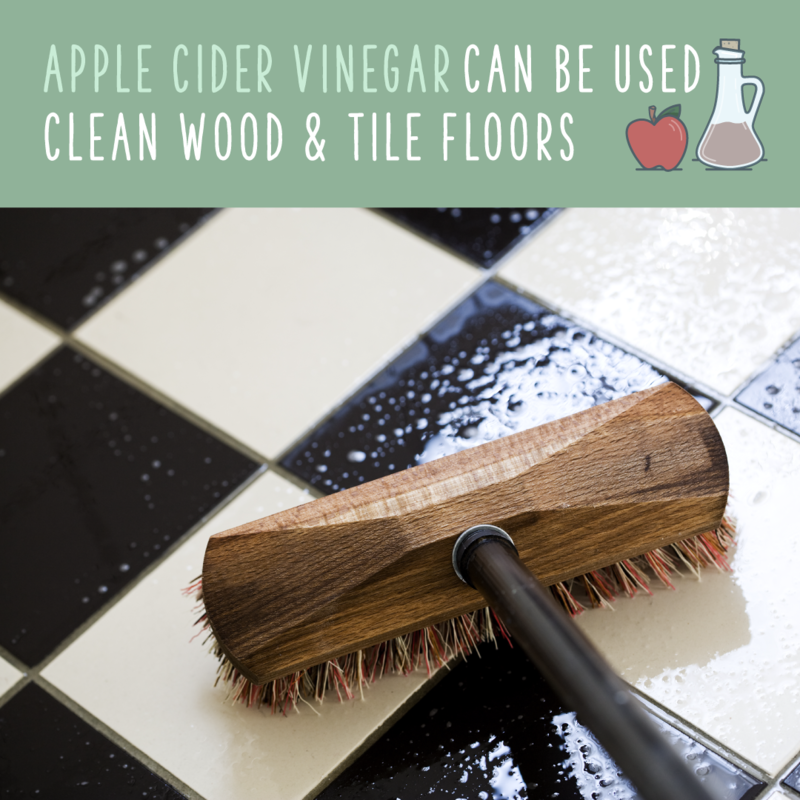 After sweeping up dust and crumbs, mix 1 cup apple cider vinegar into a 1 gallon bucket of water. Use a rag or flat microfiber mop to wash the floor, and then dry with a clean rag. If you are washing wood floors, be sure not to leave any water standing as it may discolor the wood. 8. All-Natural Bug Spray What’s worse than a mosquito bite?! Oh, that’s right, stewing in a chemical concoction that can’t be near your eyes, nose, mouth, broken skin, or indoors. Doesn’t that sound like something you want to spray all over yourself and your children? No? Us either. Instead, let’s ditch the drugstore bug spray and use our new favorite product to make our own natural bug spray. Mix the following ingredients into a spray bottle, give it a good shake, and then let it steep overnight. The next day, you can spray the bugs away without needing a gas mask! 9. 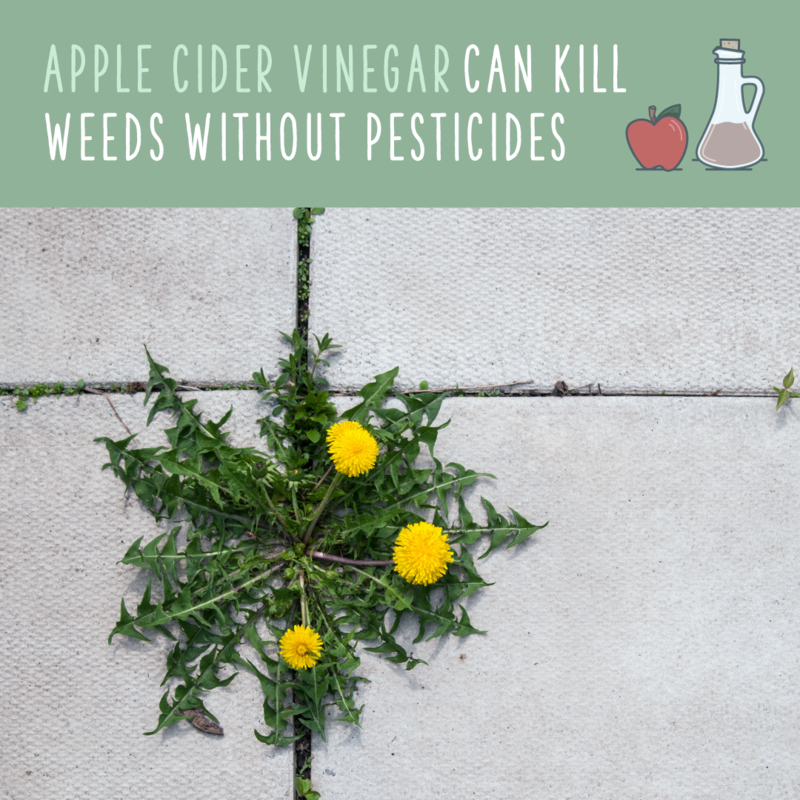 Weed Killer Apple cider vinegar is a great way to ban the stubborn weeds in your garden without exposing your vegetable garden to pesticides. Pour full strength ACV to get rid of weeds, but be aware that it will also kill grass, so pour carefully! You can use it to kill grass growing between sidewalk cracks. You can also use diluted ACV for garden pests. 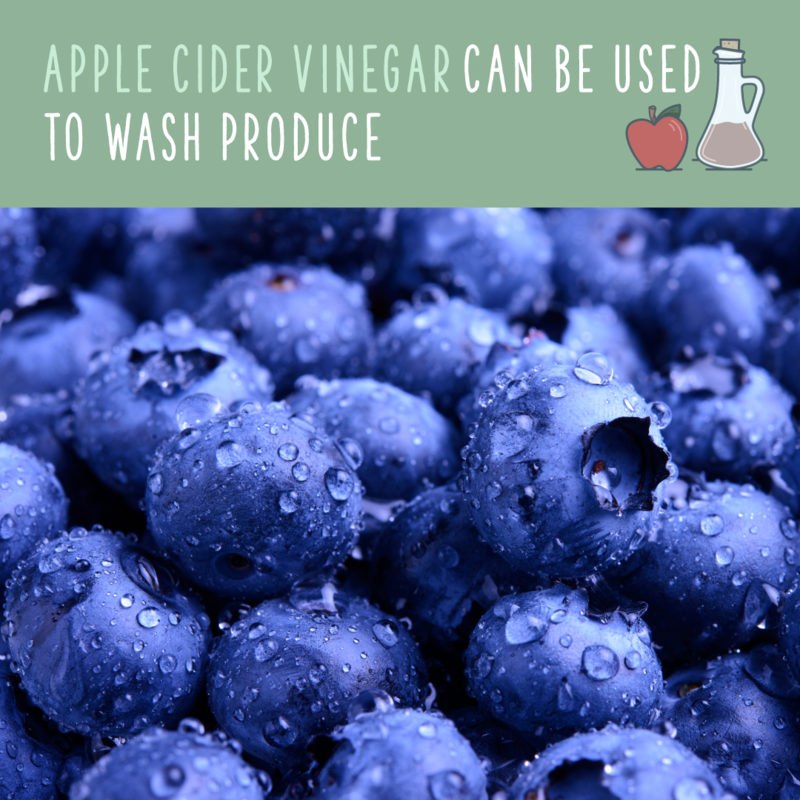 Combine 1 part apple cider vinegar with 3 parts water and 1 teaspoon of dish soap. Spray directly onto plant leaves once a week to keep slugs, moths, and ants at bay. 10. Kill Fleas On Pets If you’ve noticed a few high-jumping friends on Fido, try this before using harsh flea shampoos. Mix equal parts water and vinegar into a spray bottle (which you still haven’t put down since reading this article). Spray directly onto your pet and rub into their skin until their entire coat is saturated. Repeat the process for a few days, or for as long as you see the little buggers jumping around. 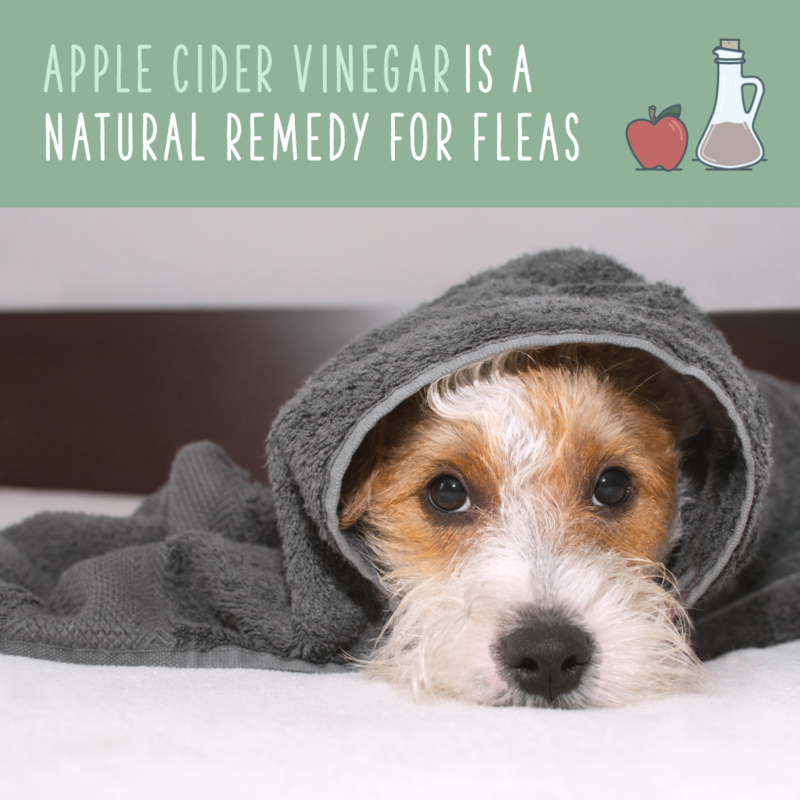 Given the acidity of apple cider vinegar, check with your vet or test a small patch on your pet’s skin before giving them a full body treatment.